Looking to isolate EVs from Tissue Culture Media or other biofluids? Check out ExoQuick-TC ULTRA. Drawing upon our years of exosome experience, the SBI team has pushed ExoQuick extracellular vesicle (EV) isolation technology to new peaks of performance with ExoQuick ULTRA for Serum & Plasma. While many EV isolation methods require you to choose between high yields, easy protocols, clean preps, and low costs, ExoQuick ULTRA is able to deliver on all these fronts for trade-off free EV preparation. Important for intercellular communication in both normal physiology as well as disease states such as cancer, EV biology is rapidly growing field. However, obtaining EVs for in vivo and ex vivo studies can be challenging. Ultracentrifugation has been considered the gold standard for exosome isolation, but the method is time-consuming, requires large sample volume inputs and requires access to specialized equipment. 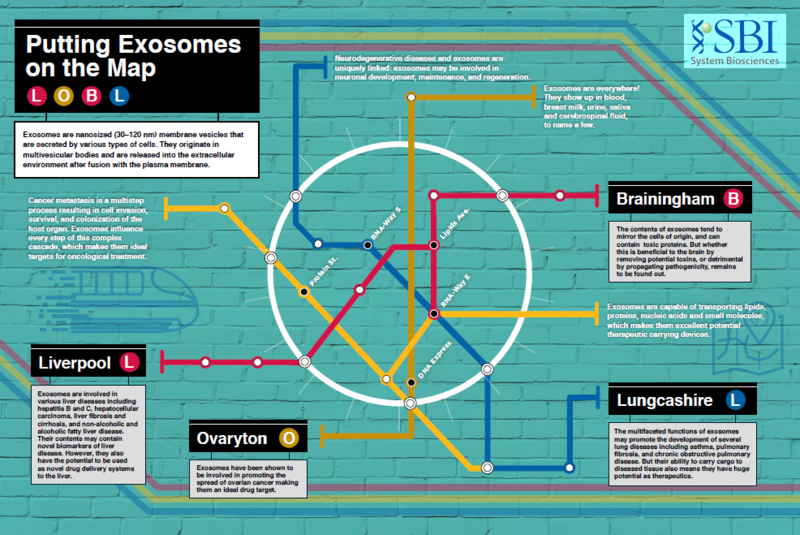 Additionally, UC doesn’t isolate the cleanest exosome preparations it once was thought to produce. 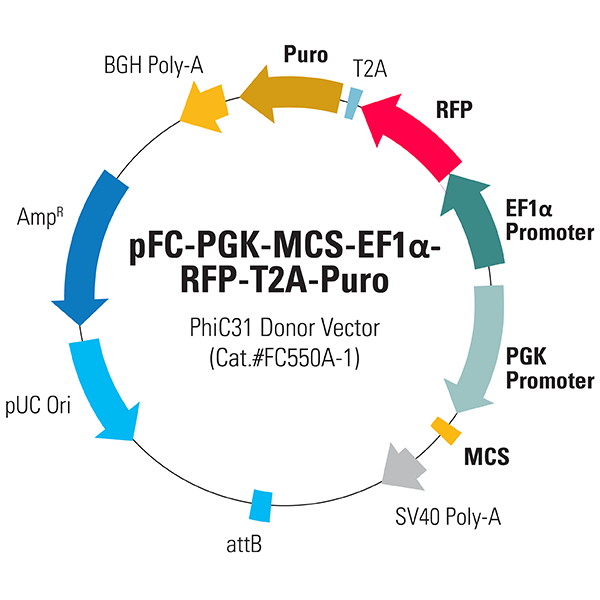 Other commercial kit methods are faster and easier than ultracentrifugation, but still include carryover protein that can cause over-estimation of EV amount and that can interfere with protein-sensitive studies such as mass spectrometry. 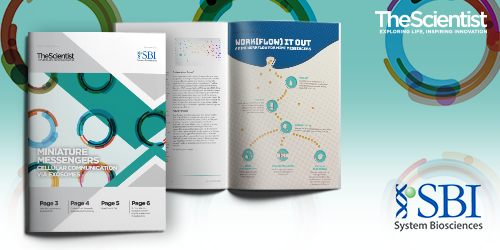 Fortunately, the SBI team is never content with good enough and has continued to improve our ExoQuick technology. Now, with our newest generation of ExoQuick—ExoQuick ULTRA—you no longer have to make the trade-off between yield, purity, speed, a simple protocol, and price. From as little as 250 μL of serum or plasma and our ExoQuick ULTRA kit, you can isolate high-quality EVs for a wide range of downstream applications such as such as western blotting, mass spectrometry, NGS sequencing, exosome labeling, and in vivo/ex vivo exosome delivery. Each ExoQuick ULTRA Kit for Serum and Plasma comes with enough ExoQuick ULTRA (serum/plasma) reagent and convenient, pre-packed columns to complete 20 reactions*. The kit is shipped on blue ice and the components should be stored at recommended temperatures as stated above. Properly stored kits are stable for 12 months from the date received. Figure 1. 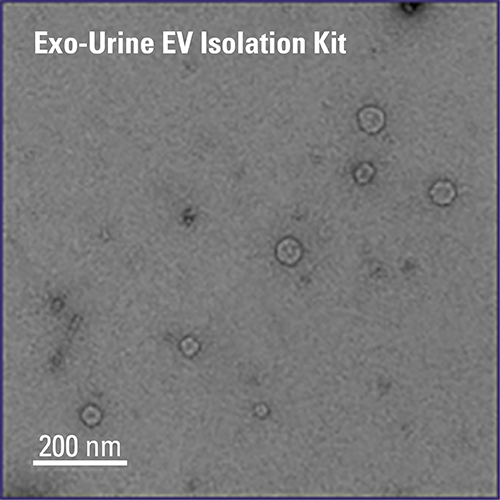 ExoQuick ULTRA delivers high yields of clean exosomes. (A) A coomassie blue-stained protein gel comparing the protein content of exosome preps isolated using different methods shows only a few, defined protein bands in the ExoQuick ULTRA lane compared to the other methods. (B) Western blotting of the gel shows that the ExoQuick ULTRA prep contains the highest levels of exosome-specific markers CD9, CD81, and Hsp70 and the lowest levels of the carryover proteins albumin and IgGH. 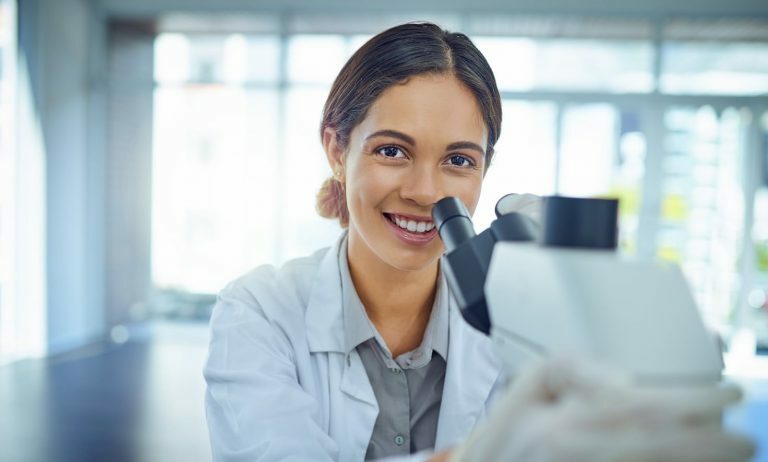 In contrast, the prep from Company Q appears to be primarily albumin, and even the sample prepared using ultracentrifugation contains considerably higher levels of both albumin and IgGH. Each lane was loaded with 7 μg of total protein as measured using a fluorometric Qubit protein assay. Figure 2. Fluorescent nanoparticle tracking analysis (fNTA) demonstrates the high EV yields delivered by ExoQuick ULTRA compared to Ultracentrifugation. Comparison of different isolation methods on EV yields by both volume of input serum (per mL, A) and amount of input serum protein (per mg as measured by fluorometric Qubit protein assay, B). Particle number was measured using fNTA, a technique which specifically detects EVs (see how to use fNTA to measure EV concentration at our ExoGlow-NTA page). Figure 3. EVs isolated using ExoQuick ULTRA display typical EV morphology. Transmission electron micrographs of EVs isolated from human serum using ExoQuick. The same sample is shown at two different magnifications. Multiple vesicles with typical EV morphology can be seen in each image.